Regency Apartments in Washington DC – a DC Senior Housing project, has one of Furbish’s most distinctive and natural green roofs. 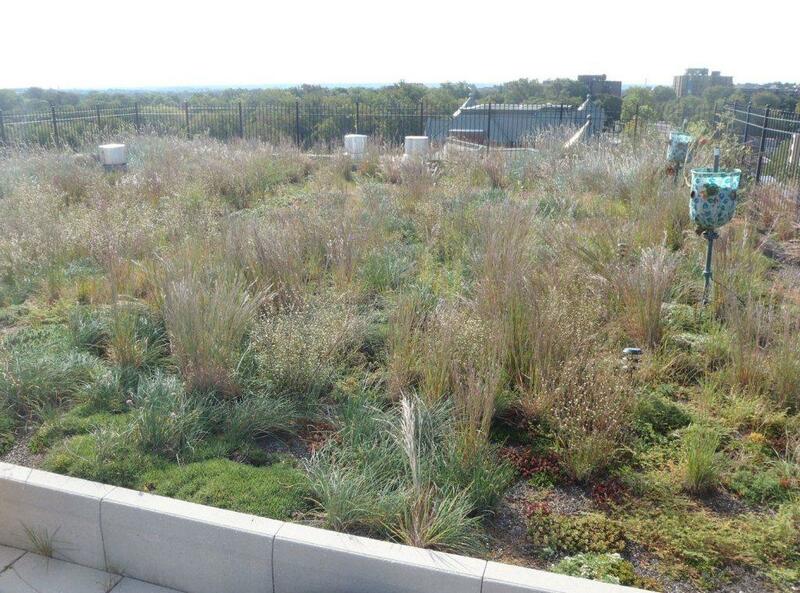 Planted in 2008 with natives and perennials in pockets of deeper media, the roof has evolved as seeds from plants as a part of the original plant palette and ones that have spread from surrounding areas becoming dominant species. One of the most distinctive plants at Regency is Elymus – a tall bluish grass, similar to a coastal dune grass. The roof remains very low input and low maintenance, yet it also boasts some our highest biodiversity in terms of plant and insect life. Regency reinforces the concept that nature exhibits eloquence and diversity given just the right amount of nurturing. ⇐ Jessica Green: We’re covered in germs. Let’s design for that.